Part of the 'great north road' can also been seen running from the bottom-left to the top-right. The road is one of the best in the country, linking Nairobi in the south of the country to Ethiopia. The northern 500-km stretch from Isiolo to the Kenyan–Ethiopian border town of Moyale took about nine years to build and was completed recently, but has reduced travel time from Nairobi to Moyale from three days to about 12 hours and opened up new opportunities for trade and business. 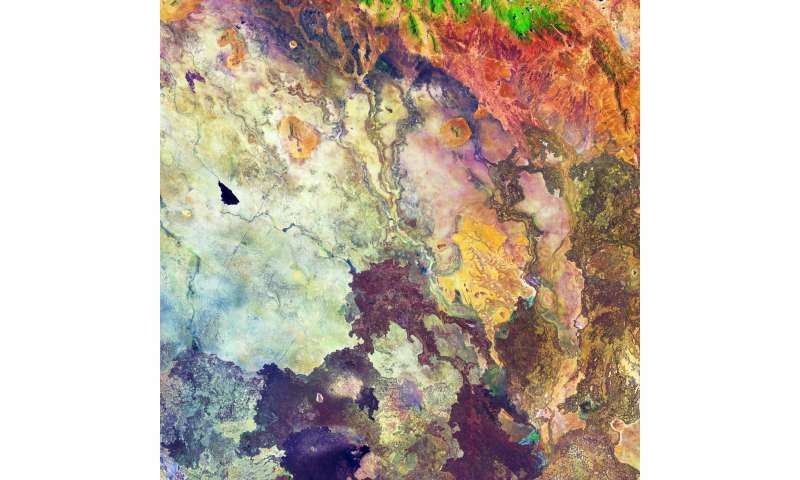 Moyale can be seen in the top-right of the image. Copernicus Sentinel-2 is a two-satellite mission. Each satellite carries a high-resolution camera that images Earth's surface in 13 spectral bands. The mission is mostly used to track changes in the way land is being used and to monitor the health of our vegetation.